Where smoking isn't just allowed . . .
SPC hosts our famous annual dinner in January, and a BBQ picnic every summer. 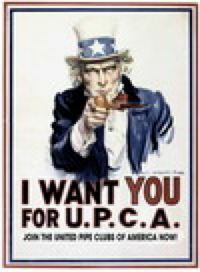 We are also host for the UPCA NW Regional Slow Smoke contest every November. Our next meeting is on Valentines Day, Wednesday, February 14th. We will also have an informal meeting to celebrate International Pipe Smoking Day on Tuesday, February 20th. Seattle Pipe Club (SPC) serves pipe smokers of all stripes in the Seattle / Tacoma metro area and much of western Washington. See club website for details & membership information.